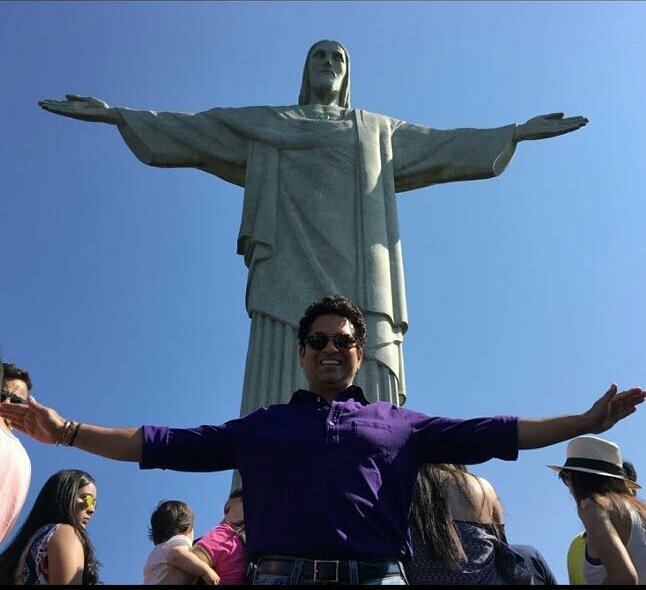 IMAGE: Sachin Tendulkar tweets picture from Rio 2016. Photograph: Twitter. One of his cherished memories was being in the Commonwealth Games village in Kuala Lumpur way back in 1998 and Sachin Tendulkar had that same feeling of deja vu as he dropped in at the Olympic Games athletes village in Rio on Saturday. "That incredible feeling of being in a Games village came back today (Saturday). The memories of being a part of the Indian cricket team during the 1998 CWG kept coming back. The sheer magnitude of the Games can't be compared. But the spirit and energy level is same as 1998, the ambience of being around champions is also no different," Tendulkar told PTI from Rio de Janeiro. Tendulkar was part of the Indian team that took part in the 1998 edition of Commonwealth Games -- the only time cricket was a part of the CWG programme. "I am no expert on Olympic sport and certainly will never advice them on how to win their competitions. They are all champions in their own rights and know what needs to be done to perform. I was there to tell them that the entire country is with them with all their wishes. I did not speak to any specific player as there were a lot of them. The hockey boys were not there as they had a match." Ask him about his favourite Olympic sport, Tendulkar said that he loves racquet sports. "My favourite Olympic sports are tennis and TT which I keenly follow. I also love athletics events. But I am superstitious if you ask me to predict a number of medals that India can win at Rio. I hope we win as many medals as possible." Tendulkar is set to leave Rio in the next couple of days and said that he would have ideally loved to watch Olympic champion Usain Bolt compete in the 100 metres. Bolt is a cricket afficianado and has spoken a lot about his love for Tendulkar's batting. "I know he has spoken about his love for my batting. I know that as Usain has sent me messages. It would have been great to have watched him compete live but I would be leaving in the next couple of days," said Tendulkar, who is set to meet International Olympic Council president Thomas Bach. Sachin has been recovering from a knee surgery and he is still finding it difficult to walk. "I am still recuperating and finding it difficult to move around. Once I am back in India, I will get into the proper rehabilitation mode. And no (Legends) cricket for me as it will take time to get fit," Tendulkar laughed as he signed off.